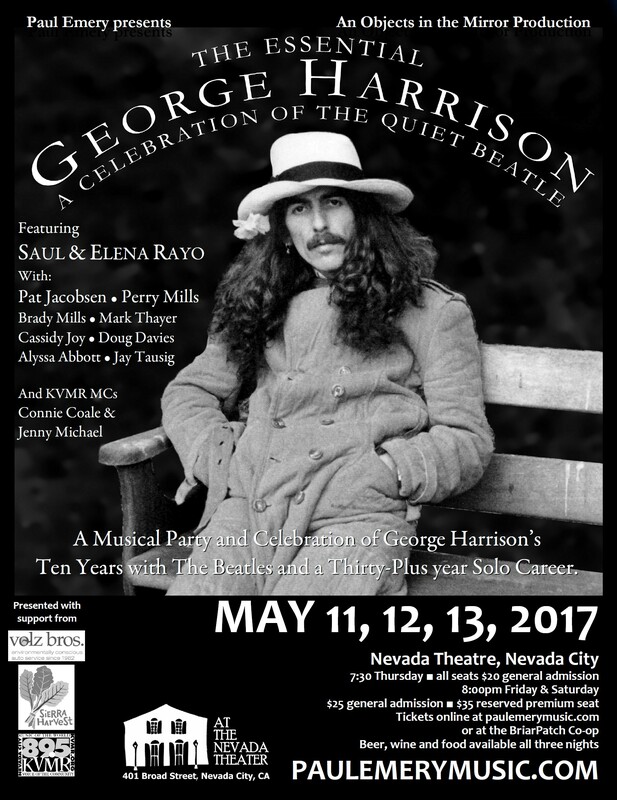 A Musical Party and Celebration of George Harrison’s Ten Years with The Beatles and a Thirty-Plus year Solo Career. In 2005 Saul Rayo (Rayo Sun Orchestra) and Pat Jacobsen (Objects in the Mirror) teamed up for a concert featuring the music of Joni Mitchell. The three-night run at The Center for the Arts in Grass Valley proved to be a grand success and following the show they wondered how to follow it up. One of many ideas (this one floated by Saul’s daughter) was to pay tribute to the music of George Harrison. 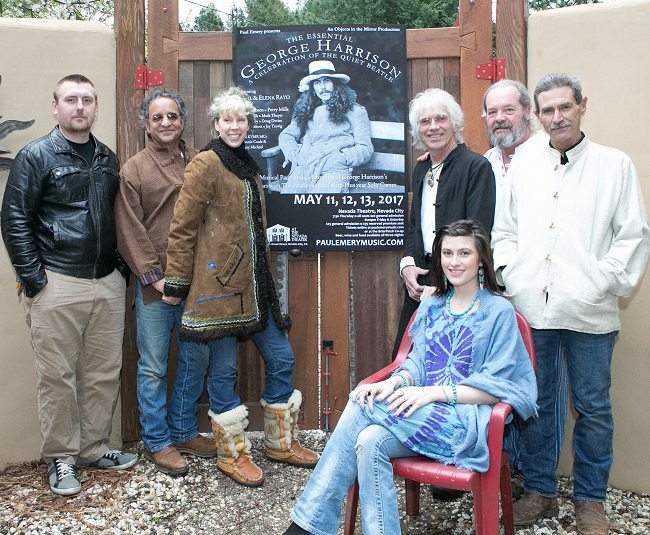 After twelve years on the back burner “The Essential George Harrison” will take the stage at the historic Nevada Theatre in downtown Nevada City on May 11, 12 and 13 featuring Saul and Elena Rayo, Objects in the Mirror (Pat Jacobsen – bass, Perry Mills – guitar, Brady Mills – keyboards, Mark Thayer – drums) and guest appearances including a horn section, featured vocalists and sitar. Jacobsen and Mills began pouring over the Harrison catalog in 2016 finding hidden gems and reliable standards from Harrison’s years as a Beatle, his solo albums and the Traveling Wilburys. Hits including, My Sweet Lord, While My Guitar Gently Weeps, and End of the Line along with lesser known tunes like Wah Wah and Savoy Truffle. Featured vocalists include Saul and Elana Rayo and Cassidy Joy with Doug Davies and Alyssa Abbott on horns and Jay Tausig making an appearance playing sitar. Known first as “The Quiet Beatle,” George Harrison was a great songwriter who had the misfortune to be surrounded by two stone cold geniuses whose work often obscured his talents. Yet Harrison compositions such as “Something” and “While My Guitar Gently Weeps” are as good as anything the Beatles ever recorded. With his solo debut All Things Must Pass, he stepped completely out of the shadows of his Beatle band mates to reveal himself a powerfully spiritual songwriter with an expansive sense of melody. Harrison was also a gifted, fluid guitarist and hugely influential in introducing the Beatles — and, by extension, the entire Sixties generation – to Eastern religion and musical influences. His devotion to Hinduism was expressed publicly through rock and roll’s first massive charity event, the 1971 Concert for Bangladesh. Before all that, Harrison was a teen guitarist in thrall to Britain’s 1950s skiffle revival — a working class kid with a band called the Rebels. It was Paul McCartney, a schoolmate one year ahead of Harrison, who invited the 15-year-old to jam with the Quarrymen, a group led John Lennon. (Harrison had come three years behind Lennon at his previous school.) This band would become the Beatles — and Harrison would himself become, like Lennon and McCartney, one of his generation’s great seekers. His response to fame, however, was to direct that search inside of himself. As a songwriter, Harrison was continually out-gunned by Lennon-McCartney. The intense trio of songs he contributed to Revolver — “Taxman,” “I Want to Tell You,” and “Love You To” — would be his most significant contribution to a single Beatles album. He had other classics to his credit, including “Here Comes the Sun” and “Something,” his first Beatles A-side, a track which would top the charts in America. (Both came off 1969’s Abbey Road) But Harrison also funneled his creativity into the guitar, a suitably introspective pursuit. From his raw, early rock-and-roll influences he extrapolated a wide-ranging and poetic style. In the late sixties, he helped introduce the slide guitar to prominence; he also popularized the 12-string Rickenbacker guitar and its ultra-distinctive sound on 1964’s A Hard Day’s Night. Harrison introduced the Byrds to the Rickenbacker; they, in turn, led him to what would become a calling card: the sitar. With the Indian composer Ravi Shankar as his teacher, the guitarist introduced the instrument (which dates to the middle ages) into the Beatles, and rock music, with “Norwegian Wood (This Bird Has Flown,” off 1965’s Rubber Soul. Two years later, Harrison’s unique, and principal, contribution to Sgt. Pepper’s Lonely Hearts Club Band would be “Within You Without You,” a centerpiece for sitar. It was his experimental sliver of that experimental album, but it also a declaration of his independence. In 1966, the band gave up performing live (which suited the shy, perfectionist Harrison). In 1969, during filming of recording sessions for The Beatles, Harrison quit the band. He returned 12 days later, after negotiations, but he was the first splinter in the band as it finally broke apart in 1970. Meanwhile, Harrison lived his life increasingly under the guidance of Hinduism. Shankar, who he’d made world famous, had become a close friend, and would remain so for life. He married Pattie Boyd, who he’d met on the set for the Hard Days Night movie, in 1966; in 1969, he bought a private estate in Henley-on-Thames called Friar Park. Creatively, he’d clearly built a head of steam. His Wonderwall Music soundtrack (Wonderwall Music, 1968) was the first solo effort from a Beatle, and as a ramshackle mix of traditional Indian music and rock, hardly one for the screaming fans. For Electronic Music (1969), he partnered with composers like Bernie Krause for an exercise in Moog synthesizer noodling. Picking up where “My Sweet Lord” left off — and capturing the easy-going uplift of the times, lacing it with his slide guitar — Harrison picked up another Number One single with 1973’s “Give Me Love (Give Me Peace on Earth),” off Living in the Material World. The next year he released Dark Horse on his own label of the same name, but despite the title track’s climb to Number 15, the mellow times seemed to evaporate. Harrison and Pattie Boyd would not officially divorce until 1977, but Boyd had already taken up with Eric Clapton, whom she would later marry. In a bizarre move, Harrison had the two cover “Bye Bye Love,” an Everly Brothers hit, with him. Worse yet, on his big U.S. tour with Pandit Ravi Shankar & Friends, Harrison’s voice, never strong, seem to fail him. A backlash reared up. And with that, he shrunk from one major spotlight: Those were his last shows in the United States. Between 1975 and 1979, Harrison kept plugging away, to unspectacular commercial and critical results. Extra Texture (Read All About It) (1975) and 33 1?3 (1977) were more the work of a (still talented) journeyman than a seeker, although the latter album produced a stalwart fan favorite in “Crackerbox Palace.” (Critic Robert Christgau, never a Harrison fan, wrote that the song was “the best thing he’s written since ‘Here Comes the Sun. 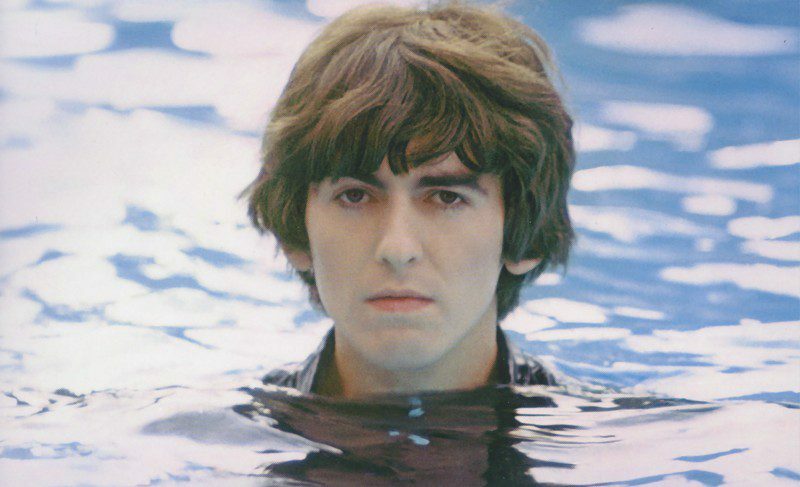 '”) The slick George Harrison (1979) didn’t juice his mojo, either. But he had other things going for him: Besides his passion for Formula 1 racing (celebrated in Harrison’s “Faster”), there was his 1978 marriage to Olivia Arias, mother to his son Dhani, who he would spend the rest of his life with. In 1979, he self-published a loose memoir, I Me Mine, and began executive producing Monty Python films. Still, his next album, Somewhere in England, encountered trouble even before it was released. Warner Bros. (parent to Harrison’s Dark Horse) demanded the replacement of four songs. On December 8, 1980, John Lennon was assassinated by Mark Chapman. Harrison hadn’t reconciled with Lennon after the breakup of the Beatles. I Me Mine didn’t even mention Lennon, and when Lennon reached out to Harrison after discovering this, Harrison did not respond. His public statement offered a reserved, if not especially profound or feeling, conclusion: “To rob life is the ultimate robbery in life.” Harrison reframed “All Those Years Ago,” a song originally about Ringo Starr, to honor Lennon, and added it to the reworked Somewhere in England. The song went to Number Two. Harrison hit musical bottom with the 1982 bomb Gone Troppo, and retreated from the studio and stage for years. He made an uncharacteristically brash return in 1987 with Cloud Nine, which featured George in mirrored shades on its cover. The record went platinum and delivered a sticky Number One hit “Got My Mind Set on You,” a song derived from an obscure sixties number by Rudy Clark. Whatever the state of Harrison’s inner focus, it wasn’t probed here. But producer Jeff Lynne (of Electric Light Orchestra) helped Harrison lay on a fine sheen, and kept him to a tidy 11 tracks. Late Eighties rock was, briefly, very good to George Harrison. Before long he and Lynne hooked up with Bob Dylan, Tom Petty, and Roy Orbison to record a song for Harrison — which led to the Traveling Wilburys, the last word on the rock super group. Their two albums — the irrepressible Traveling Wilburys Vol. 1 (1988) and scattershot Traveling Wilburys Vol. 3 (1990) — goosed the careers of all involved, and led to Harrison’s 1991 tour of Japan with Eric Clapton, which in turn led to the solid Live in Japan. After this, Harrison returned to quietude. In 1995, he, Paul McCartney, and Ringo Starr produced two “new” Beatles songs “Free as a Bird” and “Real Love” for The Beatles Anthology documentary and albums. In 1998, at Linda McCartney’s funeral, the three appeared in public together for the first time in 30 years. Also in 1998, Harrison revealed he had been treated for throat cancer, and he was soon beset by more difficulty: On December 30, 1999, a mentally unstable man named Michael Abram broke into the Friar Park estate, lured Harrison out of his bedroom, and stabbed him repeatedly. The attack finally ended when Abram collapsed from injuries sustained when Olivia Harrison fought him off with a fireplace poker. Harrison continued to suffer from cancer, an on November 29, 2001, at only 58 years old, Harrison died of the disease. He was memorialized around the world. On the first anniversary of his death, McCartney, Starr and many of Harrison’s other friends gathered for the Concert for George, which benefited the Material World Charitable Foundation. McCartney and Starr collaborated on “For You Blue,” Eric Clapton and Jeff Lynne performed “Here Comes the Sun,” and all artists at the concert gathered for several Harrison classics, including “Something” and “While My Guitar Gently Weeps.” Brainwashed, which Harrison had been working on with his son Dhani just before his death, was released in 2002 to warm critical reception. 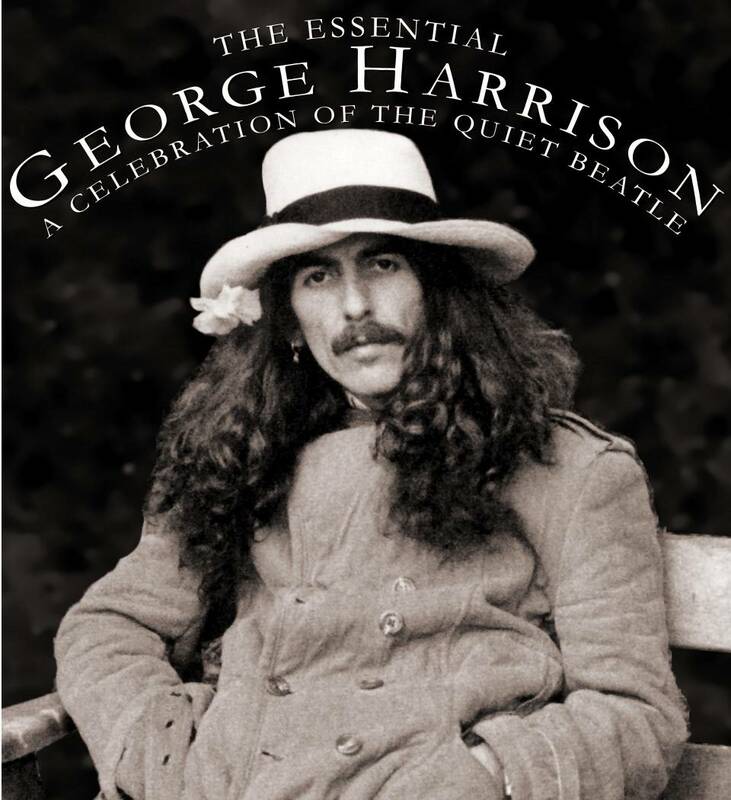 In 2004 Harrison was inducted into the Rock & Roll Hall of Fame as a solo artist (the Beatles were inducted in 1988), and in 2009 EMI released Let it Roll: Songs by George Harrison, a career-spanning compilation.